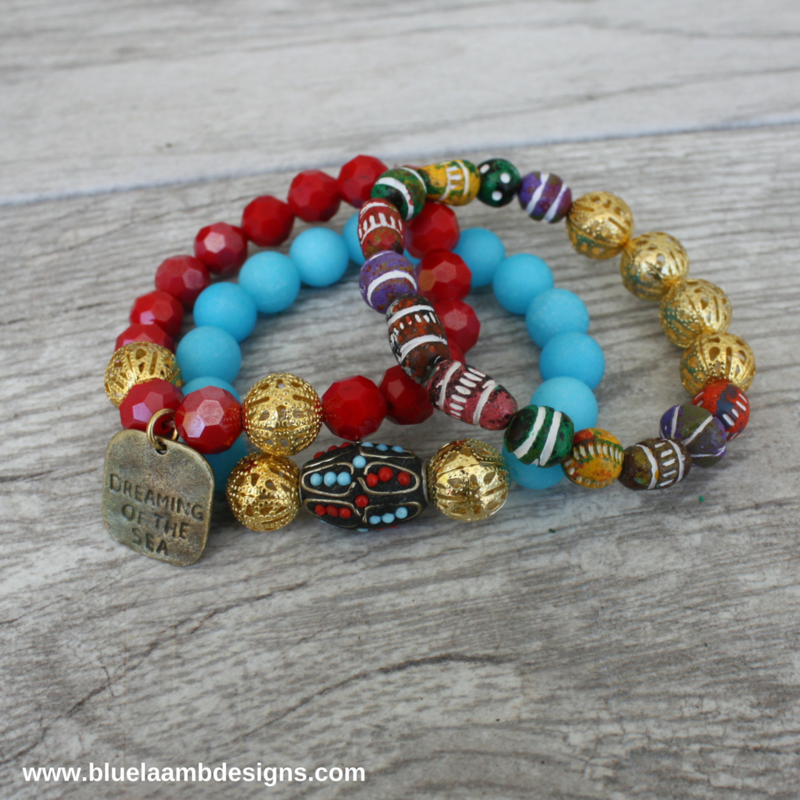 Beautiful stack of 3 bracelets for the summer or really any time. They have a Boho feel. 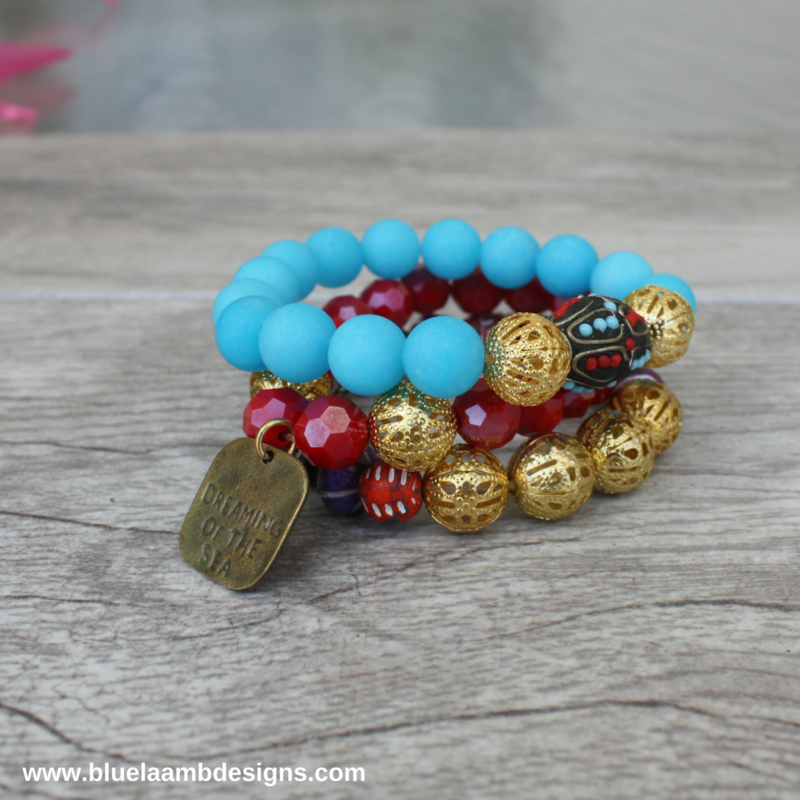 Blue quartz beads have gold filigree accent beads and gorgeous turquoise and coral rectangle bead that sets it off. 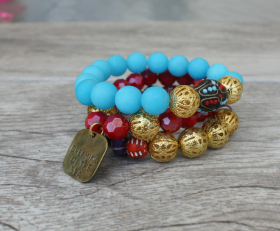 Red beads with gold filigree beads and a Dreaming of The Sea charm goes perfectly with the blue bracelet. To set both off is a bracelet made from wooden, boho beads and gold filigree. Different, yet beautiful bracelet stack. Categories: Bangles, Beach Surf Sun Bracelets, Beach, Surf, Sun Jewelry, Beaded Bracelets, Bracelets, New, Yoga / Zen Life Bracelets, Yoga / Zen Life Jewelry.